Counterclockwise may as well be called "nostalgia trip." We start off with very recent history – Samsung's bold predictions of the Galaxy S5's sales numbers. 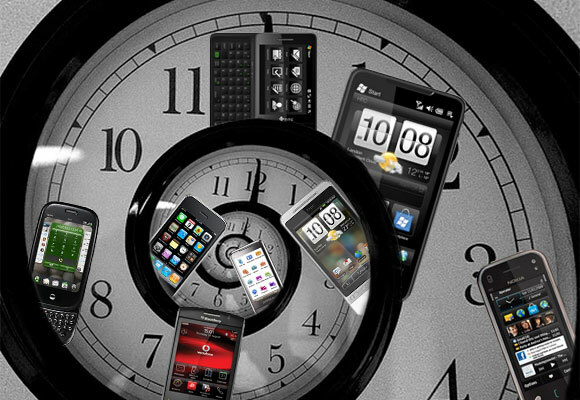 Then we venture further back in time to watch phones try – and succeed – to predict the future, only to meet an untimely end. History has a unique way of embarrassing us – a lesson Samsung learned the hard way. Back in April last year it proclaimed the Galaxy S5 will outsell the massively successful Galaxy S4. 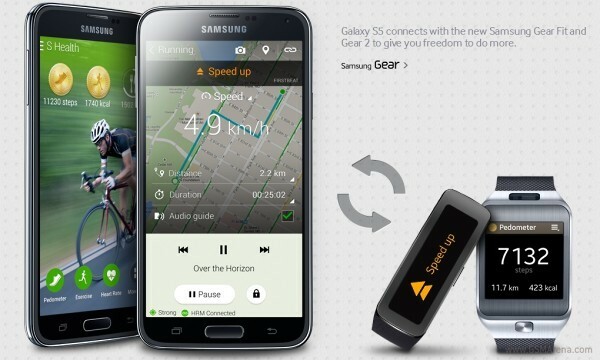 It also said that a Tizen smartphone will be out in Q2 2014, but let's not dwell on that. Early numbers were on Samsung's side too, the S5 broke S4's first day sales record. Having launched in 125 countries put it in a great position to expand quickly and indeed it outsold its predecessor by 30% on Day 1. Not long after it lost momentum. Lesson learned, Samsung redesigned the S5 successor from the ground up and the Galaxy S6 and S6 edge are enjoying unexpected success – unexpected as Samsung's estimates proved too conservative and the company is now scrambling to meet the high demand. Interestingly, the pricier (and arguably more attractive) Galaxy S6 edge is selling on par with its flat-screened sibling. 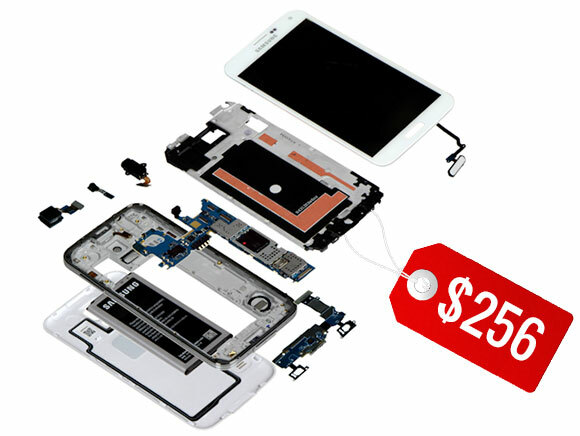 Those things aren't cheap though, the Galaxy S5 cost $256 to manufacture, up from $244 for the Galaxy S4, however the Galaxy S6 edge cost Samsung more than ever to build - $290 for the 64GB version. The Nokia 5800 XpressMusic was one Nokia's first touchscreen Symbian phones and sadly one of its last best-sellers. It launched in November 2008 and offered a lot of bang for the buck, partly because of its well-stuffed retail box. In April 2009 a silver version cropped up – well, it had a silver rim, the phone was still black. With a 3.2" touchscreen, Wi-Fi, GPS and powerful stereo speakers the 5800 was a lot of phone for $370/€280 back in 2009. The screen was an old-school resistive touchscreen, which meant no multitouch. It did come with a stylus about three years before the first Galaxy Note, that was more out of necessity than invention though. Still, a clever programmer figured out how to fake multitouch for a Guitar Hero type game. Entertaining as it was, it couldn’t rescue Symbian, which only had bolted-on touch functionality and was up against iOS and Android, which were designed for touch from the ground up. Symbian wasn't ready for the touchscreen future, but sometimes being ready for the future is a bad thing. In April 2011 Orange UK announced that it will launch the Motorola Atrix in May and offer its various docks at reduced cost. Those docks were something to behold. The Atrix ran Android on a then powerful Tegra 2 (dual-core 1GHz processor) and it could turn into a laptop or a multimedia station with the right dock, complete with full-size keyboard, USB and HDMI ports. That same year Asus launched the Transformer – an Android tablet (coincidentally with just about the same chipset) that attaches to a keyboard dock to turn into a laptop. The Transformer has multiple successors, including a phone that docks into a tablet that docks into a keyboard, but neither it nor the Atrix conquered the market. Since then transformable laptops (really tablet + keyboard dock) are being pushed by both Intel and Microsoft – one pushes its new low-power chipset, the other its touchscreen UI. 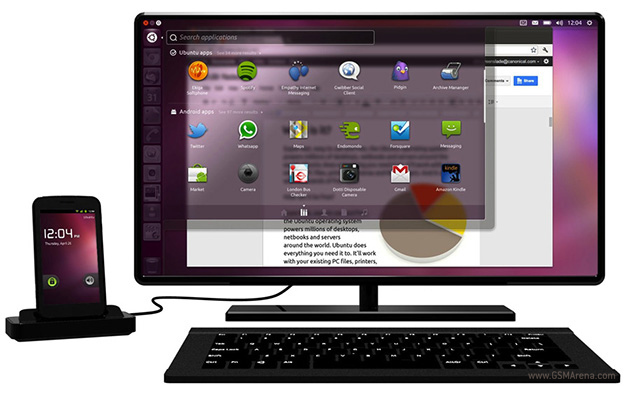 Canonical shortly had plans to revisit the Motorola Atrix formula, but based on Ubuntu Linux. Those plans were cancelled. Phone chipset these days rival laptop processors from the time the Atrix came out and we've seen several functional multitasking add-ons to Android. Also, the new USB Type C combines a display, data and power cables into one very convenient package, making the custom connectors of the Atrix and Transformer obsolete. So, maybe soon we'll get to power our laptops and desktops with our phones. Still, predicting the future did these precursor devices little good. Opera Mini was the browser to have on a feature phone – advanced compared to the native browser (if there even was one), worked fast and was light on your expensive data plan doing it. It's big bro was more popular on Symbian and Windows Mobile, but Mini was going to smartphones too. In April 2008 Opera announced an Android port. It was a thin wrapper over the original J2ME app, which made it a fairly easy jump. It took two years for Opera Mini to land on iPhone. It was available on the doomed Windows Mobile too. It took until 2014 to transition to the successor, Windows Phone. Opera Mini celebrated its 10th birthday a few days ago. It celebrated with a new look on Android, feeling more native than ever, a far cry from the original J2ME port.